Ella is an adorable, independent, and outgoing 5 year old girl who was diagnosed with Spinal Muscular Atrophy (SMA) Type II just after her first birthday. SMA is a genetically inherited neuromuscular condition, it can present as muscle weakness and low tone. Ella is able to roll and scoot at times, however she requires adult assistance to move on the floor or move from room to room in her home. She has used a gait trainer in physical therapy sessions but does not have one at home or in school. As a result, she uses a powered wheelchair as her main way to explore her environment. In physical therapy Ella is working hard to improve her overall strength, head control, posture, range of motion and balance in order to maximize her independence at home, in school, and out in the community. Ella used the Scooot during many physical therapy sessions in the outpatient setting and had great success with the product! 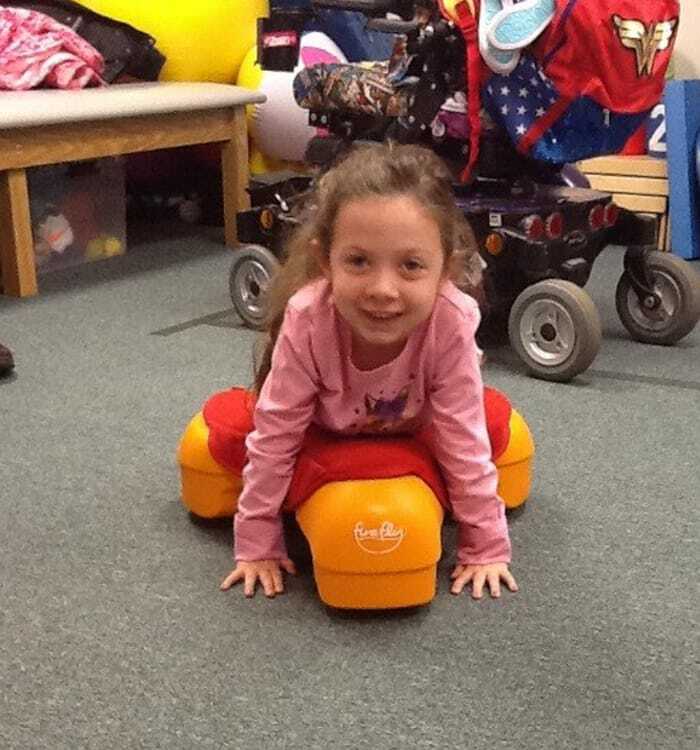 Ella trialed the Scooot at the Abilities Expo in Boston and was very excited to use it again at her initial trial with her physical therapist. 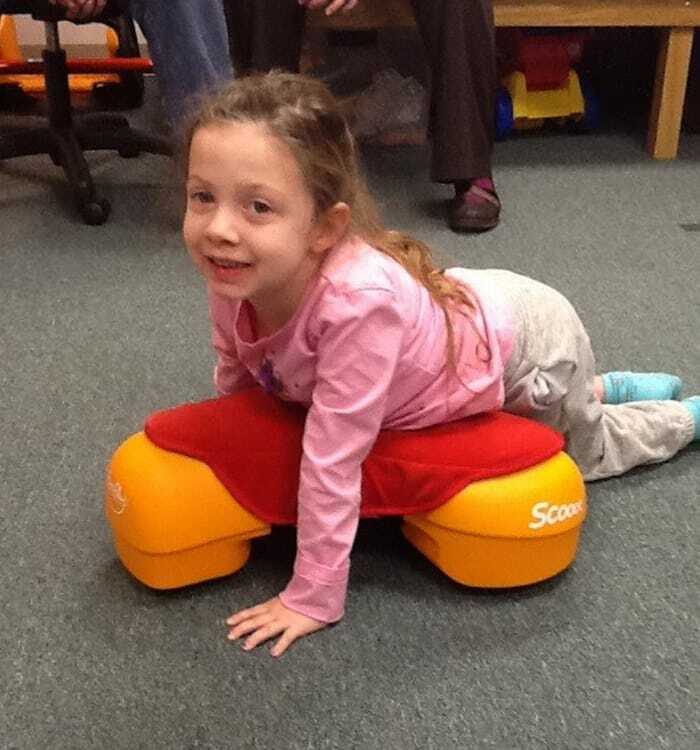 Ella has very limited active movement of her lower extremities so she used the Scooot in a seated position using her arms to move around the therapy gym. She used the Scooot to manoeuvre around the therapy room during an Easter egg hunt which she thoroughly enjoyed. Although moving the Scooot was a challenge for Ella she was able to have fun with floor play, by exploring her environment all by herself! The Scooot increased Ella’s access to toys placed on the floor. 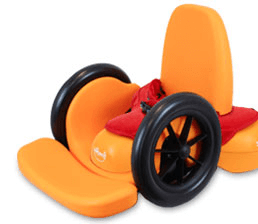 Alternative mobility devices like her power chair and gait trainer would not have allowed Ella to access toys on the floor. In the crawl configuration, Ella was in prone (tummy time) and was able to work on her head control, weight bearing through her knees, as well as assisted crawling. 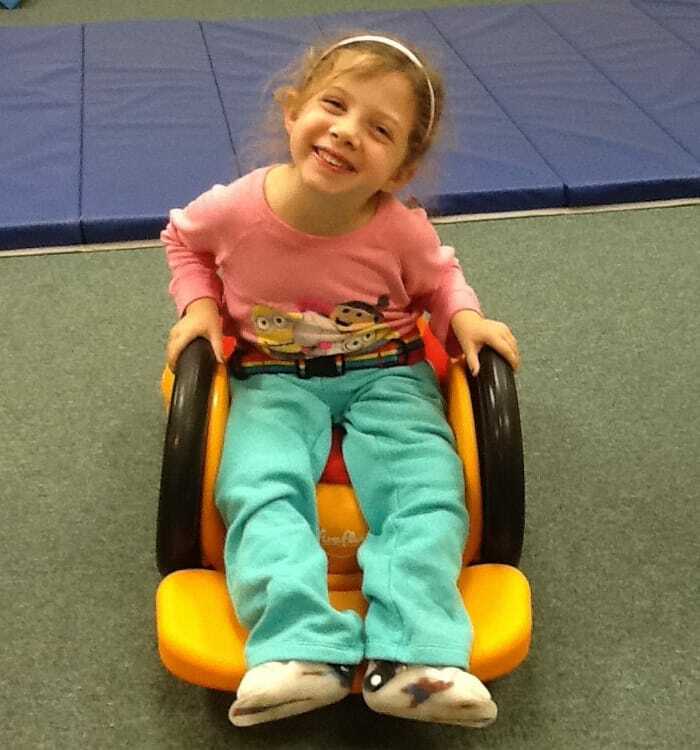 Ella worked hard on transitioning from a seated position into prone on the Scooot and back to a seated position. With assistance from myself (PT) to advance the Scooot forward Ella was able to reciprocally move her lower extremities in a crawling pattern. This is a movement that Ella was not able to perform prior to using the Scooot. She was very excited and proud of her accomplishment - she even asked her mother to take a video of her so she could show her father later that evening. 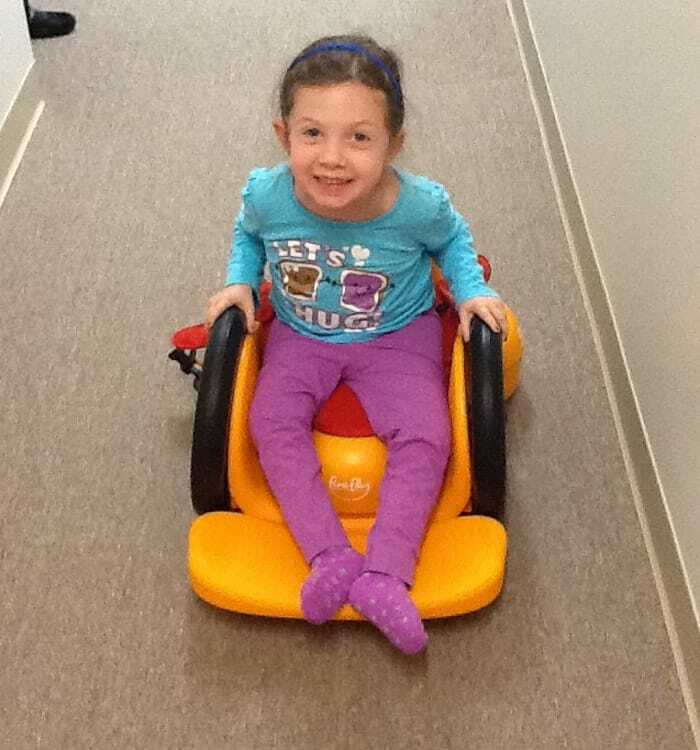 Overall Ella enjoyed using the Scooot during physical therapy sessions. It was a great tool to assist her in meeting her physical therapy goals as well as increasing her functional mobility/independence.